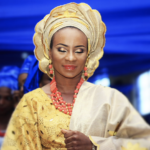 Cultural adornment is something that most of us are familiar with I mean special adornment material in our culture, which has been since the time of our forefathers and has now even, migrated into our modern day society, in fact, it is a paramount part of ‘New Trending’ in today’s society. Adornments or ornaments are things we use to decorate ourselves to make us beautiful and attractive, they draw attention to, and describe an individual. The adornment material I’m talking about in this article is BEADS. In today’s contemporary society, the layman believes that the major use or purpose of bead is for fashion, occasion or casual materials used as jewelry and so on, but I tell you, it is far more than that, beads have been dated far back as more than 6000 years ago in Africa where beads are a part and parcel of so many cultures and traditions; in fact to our fathers, it is a sign and symbol of royalty and power which are strictly the two major factors and purpose of beads then. It also won by some selected people who are selected by the gods and highest authority then and it is not seen on individuals but selected people except again by the rich people to show that they are wealthy. 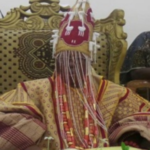 Then the caliber of people that wear beads are the king, queen, princes and princess (the succeeding prince’s bead is always different from the other male siblings because it has message to pass across to everyone who sees it on the prince that he is the heir to the throne after the present king – his father dies.). Priests (known as the oracle or gods consultants), warriors, great hunters, herbalists, Head of market women and so on also wear beads as their symbol of office and are always different from each other to describe position and office a person occupies. kinds of the specially-made bead necklace, anklets, and waist beads. The first queen (the first wife of the king, also have her own special crown which differentiates her from the other wives and authority over every woman regardless of whether you are the king’s wife or not) she is also seen always sitting at the right hand of the royal majesty, the king with all her adornments. Like I said earlier, the position a royal or powerful person belongs to in the society, determines the kind of bead he or she wears, another example is a great hunter, he wears clothes design all over with beads (though a particular bead usually different from others), Iyalode in Yorubaland of Africa also uses the beads as a symbol of her chieftaincy title and when she wants to exercise power; however, the kind of beads use by individuals for personal use is very much different from the beads used then. Bead materials were mostly gotten from clay, plant materials, tortoiseshell, and then advanced to materials like silver, ceramics, bone, glass, aluminum, brass and cowries. During festive seasons, young girls wear beads on their waist, head, neck, legs and hands during cultural performance, some tie short wrapper with beads on their head, neck, hands, and legs; this portrays their culture and also shows that they are spinsters or virgins, it brings out more beauty during cultural dance and competitions such as beauty pageants. Priests and priestesses also wear beads and use for incantations, enchantments and make inquiries from gods and the spirit world; the unique part of it is that the beads they wear have significance which mainly is spiritual, an ordinary person cannot possess the bead of the priest or priestess except ordained by the gods as a symbol of dedication/initiation or transfer of power, throne and authority in the spirit world, it could mean a symbol of membership and this also applies to all other chieftains using the beads including the king himself. Waist beads are also used for charms by both men and women which is usually sexually related for protection against attacks and sicknesses. There is also a myth which says that the waist bead gives a woman more shape (i.e. figure 8 shape). It is also believed that it improves the beauty of a woman when used for adornment even in today’s world. 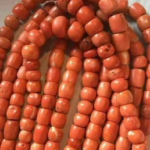 The use of beads cannot be overemphasized as it is gaining more recognition every day and many people of today don’t even care about the significance of beads but wear to match their dressing and personality and this is done by so many men and women regardless of class, post, origin, occupation, royalty and so on. We see people wearing it majorly for adornment today in both cities and villages, though the initial motive not neglected even though some people connected to the above discussed don’t use the beads every day as it was done before as a result of modernization and places in which they find themselves may be far away where its significance is not known, however, they must wear it on compulsory gathering and occasion, it is not optional but mandatory. Today, people don’t care so long it brings out their beauty and makes them look attractive which it always does. It is now included as a major part of today’s fortune and fashion both far and wide where it is used in occasions such as marriages, birthdays, naming, outings, dating, special/regular and places of social gatherings. It’s not a story also, that beads are very much affordable while some are very much expensive and may not be affordable by the majority of people, because, the greater the quality, the higher the price, and the higher and better the beauty and self-esteem it portrays. This article is so amazing, I recommend this article to especially this present generation.